On a Sunday morning the front room of Garry’s small terraced house smelled of toast and the electric fire. At the mouth to Mabel Street stood the post office, directly across the road from the pub where, less than eleven hours earlier, we had sunk the dregs from the last of numerous pints of particularly bitter Bitter in the second cheapest pub in town, run by the second cheapest brewery in the country. Now we would sit, twelve-stringed acoustic guitars at the ready, opposite each other with a cassette recorder populating the no-man’s-land between us, primed to capture this week’s takes of homemade popular political folk rants. Occasionally there would be sparks of magic, a song bringing forth a performance that had never been as good, and would never be as good again. We would relish these moments and pride ourselves on our momentary genius, knowing that at least we had been able to capture the wonder on cassette. As long as we had remembered to release the pause button. 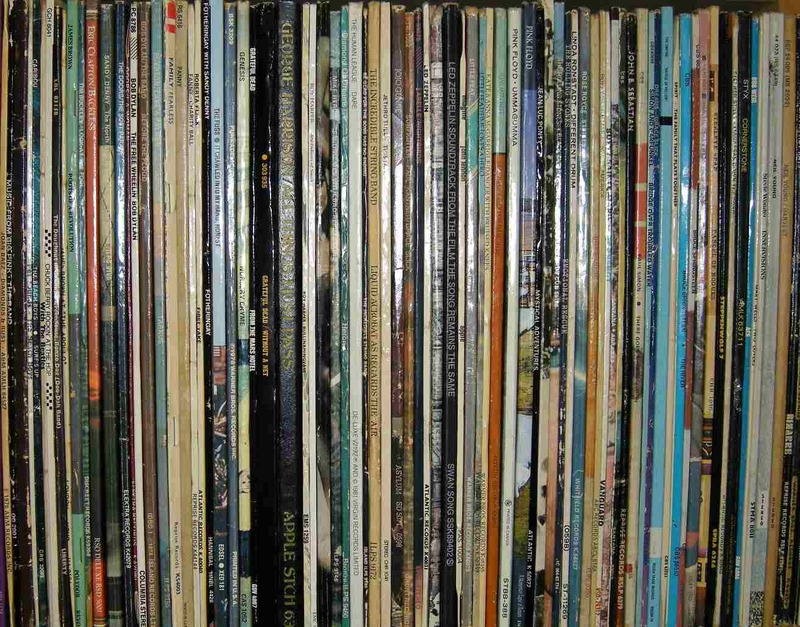 And when Garry went to put on some more toast and make another stiff brew of tea, I would browse the racks of 7″ and 12″ singles propped up underneath the television, looking for something new to borrow. A few miles south-westward, near the mouth of the Mersey, maybe Lee Mavers was poring over cassette recordings of his band, desperately trying to seek out the sparkle that made the undoubtedly excellent songs he had written leap into potential immortality. It seems almost inconceivable that a band that has become as legendary as The La’s could qualify for the Toppermost one-hit-wonder series, but it is true: for all the myth, rumour, hype, adoration and four-disc box sets, The La’s recorded output amounts to one album, five singles (two of which are the same song) and one Top 40 hit. Incredible, really; however, the root of this would appear to be Mavers’ ongoing and increasing frustration at never being able to recapture in the studio the moments of magic he heard in various lo-fidelity, homemade recordings of his songs. 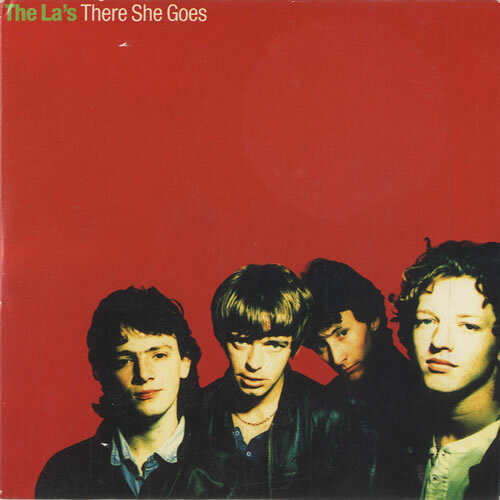 The one Top 40 hit for The La’s was There She Goes, a jangling, chirpy pop song with perfect singalong lyrics for those who either choose to ignore or remain oblivious to the darkly-rumoured (but repeatedly denied) thematic link to heroin. There She Goes provided the band with their second single for Go! Discs, released in 1988. Alongside the bass guitar of near ever-present band member John Power and the drums of Iain Templeton (though it could have been Chris Sharrock: even for the most devout follower of The La’s an accurate chronology of recording and membership is a challenge) featured the lead guitar of John Byrne and this recording, as documented in the excellent “A Secret Liverpool: In Search Of The La’s” by M.W. Macefield, would prove to be the only official studio recording that Lee Mavers ever accepted as matching the magic in his head. It charted at number 57. Not a hit in the world of one-hit-wonders. It would take the release of a Steve Lillywhite-produced alternative recording, as featured on the band’s eponymous album, the one both famously slated as being awful and then ultimately disowned by the band, to dent the UK Top 40. Indeed, it reached number 13. For reasons of legitimacy, I suppose the version I should recommend here is the version that gave The La’s their Top 40 hit, although my personal preference would be the initial single version. There’s not much between the two, other than the intangible ‘feeling’. That leads us conveniently into the next song in this Toppermost. Although Feelin’ transpired to be the last single released by The La’s, it has its roots in the very earliest of recordings by the band. Find Lost La’s: 1984-86, an album released by Mavers’ first collaborator Mike Badger on his Viper label, and you will hear a four-track song entitled My Girl Sits Like A Reindeer and instantly recognise the musical structure of what would become Feelin’. In their quest for perfection The La’s would record their album, sometimes even completely, with a variety of different producers. The band’s trademark beat sound and undeniably sixties-influenced songwriting (hooklined, short, sweet, simple) seemed perfect for the nous of producer John Leckie, and it is his version of Feelin’ – released along with so many other studio outtakes and alternative recordings on the four-disc box set Callin All – that I suggest you listen to, as it best captures the vitality and enthusiasm of the song. Back at Mabel Street I perused the beautifully unkempt rack of 7″ singles that lolloped underneath Garry’s television set as we waited for tea to brew and bread to toast. There would always be something for me to borrow, tape and return, even things I had ignored in weeks previous. However, an early discovery was The La’s debut single Way Out. Garry was surprised I hadn’t heard it, and lectured passionately about how great a band The La’s were when he had seen them play live – twice, each time with a slightly different line-up – and how Mavers was a genius and the drummer (Chris Sharrock, who by now had moved to World Party) was the best drummer he had ever heard. I took the single home and was hooked, instantly, by the beautifully waltzing acoustic strum and sensitively understated rhythm section. I had heard There She Goes by now, and couldn’t understand why its predecessor wasn’t held in similar esteem. 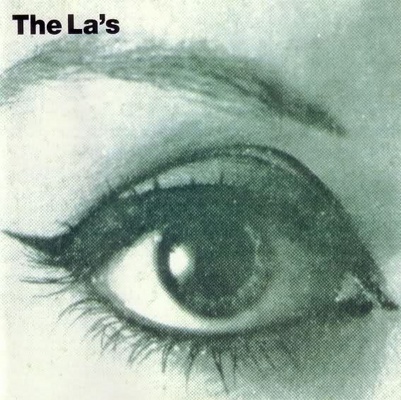 Flipping over the vinyl – eventually – however, I discovered that there was so much more to The La’s than jauntily evocative recreations of the perfect pop songs of the 1960s. Endless brought with it an eerie melancholy, plucked through oddly-tuned electric guitar strings and a poetic lyrical style that laid all its contemporary chart hits to shame: “To swim the endless sea of tragedy, to end up on the rocks so helplessly, not any raft of life to rescue me, will ever anyone deliver me”. Not even The Rolling Stones in their finer mellow moments could quite capture emotion like that. Inevitably, there was now a quest: to hear more La’s, much more. On the one hand this seemed easy, as they had only released two singles by the time I became hooked, and they were recording an album. On the other, copies of both singles appeared to be long-deleted and the more I dug, the more I realised that the album could well be a long time coming as they continued to record, re-record and scrap various incarnations. Fortune would smile at me one afternoon in Alan’s in Wigan, wherein I chanced upon a second hand copy of the 12″ single version of There She Goes going for an acceptably low price. It might have been a fiver; Record Collector reckoned it should be more. Combined with the lead track on side one was the beaty Come In Come Out, a song I can take or leave to this day. On the other side, though … wow: more beautiful simplicity with voice, a guitar and some atmospherics – radio tunings and distantly reverberated vocal choruses. After all this time I still can’t pick between Who Knows and Man I’m Only Human. I urge you to listen to both and make up your mind. Meanwhile, the old twin deck ghetto blaster that was recording The Fabricators songs would continue to capture rough and tinny recordings of their socio-political back catalogue. I dreamt of recording studios, swimming pools and pristine vinyl releases as I compiled our homemade recordings onto C60 tapes with cut-and-paste typewritten covers that I’d persuade my mum to put for loan in the local library. Garry thought they were magnificent and in a way they were, just not sonically. Yet I could see exactly what Lee Mavers meant when he described just wanting to release The La’s songs in versions they too had recorded on the hoof. When third single Timeless Melody was released it contained one such recording as a B-side. Presumably Go! Discs’ concession to an increasingly frustrated and difficult Mavers, Over was recorded in a barn on a tape recorder. It is of course excellent, but also frustrating as we are left wondering just how good it might have sounded if it had been recorded in a studio. That, of course, wasn’t the point but an interesting compromise might have been a radio session version recorded in a proper studio but without the luxury of time for endless overdubs and production. Lucky for us then that the BBC allowed The La’s sessions for them to be released, enabling you to hear that interesting compromise. I would later learn that Timeless Melody had been intended for release much earlier, and in different form, albeit still with a tape-recorded B-side. At some point in time The La’s had managed to record and mix their album to satisfaction with Mike Hedges and Timeless Melody was to be the single to announce its release. However, fate would intervene in the apparent ill-fated decision of two band members to celebrate by going on holiday with their girlfriends but without telling Mavers who, it seems, took umbrage and decided that due to a magnetic storm the dust particles on the master tapes had realigned and that the album no longer sounded anywhere near as good as it did a few days ago. Or something. This was a shame, as both the single and it’s B-side Knock Me Down were excellent recordings. The tape-recorded song meanwhile would become the stuff of legend; the dawn of the internet introduced me to Ride Yer Camel way before it was officially released on the Callin’ All box set. Frankly, Ride Yer Camel is a dirge, certainly not a patch on Over and most definitely nowhere near the standard of another rare gem to be found in later collections of The La’s many, many recordings. Found on the two-disc re-release of their debut album, which combined the original album version with that Mike Hedges version, I Am The Key is quite possibly the catchiest, simplest song that anyone has written in the world, ever. It beats even Way Out and There She Goes for joyous exuberance, the popular music equivalent of the blackbird belting out its territorial anthems from the top of the tree when all other birds have long given up the day and it is almost criminal that the song has never been given the opportunity to take its rightful position at the top of the charts. The closest we will ever come to a proper version is a radio session version for Mancunian independent radio station Key 103, although as intimated above that is maybe the closest to ‘proper’ any song by The La’s could achieve. In conversation before the performance the band suggest it was written in the van on the way to the radio station. Such is its simplicity the statement could be true; however, from what we know of The La’s it is more likely that the song had undergone many a painstaking rehearsal to get everything just right before it was released into the public domain. The collection of songs that eventually emerged as The La’s was originally to be entitled Callin’ All, and the eponymous track was often included in tentative tracklistings. In Mabel Street, Garry was writing songs that chugged positively and folkily with a similar poetry to that of Mavers. Both had tales to tell of hard labour, and whilst Garry was inspired by a hard day’s work fabricating double glazing Lee Mavers wrote about heavy hearts, withered hands and working the soil. Without wishing to be disrespectful there was of course no comparison between the quality of songwriting between the two, but I could see as I played one’s songs and listened to the other’s just how kindred their spirits might be. Today you are lucky to have a fair collection of versions of Callin’ All to listen to and all have their own qualities; my preference leads you back to the BBC In Session disc and the second of the two versions included there, that recorded for Bob Harris on the eve of the release of the album they would slate mercilessly in the media. When The La’s finally hit the shelves of all good record stores it was famously accompanied by possibly the most negative publicity campaign a band has ever carried out for their own work. Mavers described it as “a croak” on BBC TV program Rapido, and that was one of the nicer descriptions. Chief amongst the criticisms laid against Steve Lillywhite’s salvage job was that there were vocals where there shouldn’t be vocals and bits of other songs stuck in here and there. This leads us quite conveniently onto my final choice for this Toppermost: Looking Glass. For all the stick Lillywhite received for The La’s his was an unenviable task: to get an album released for Go! Discs by a band whose relationship with the label had broken completely and who were barely complicit in any recording. His achievement in allowing us to hear those songs is to be commended. For what it’s worth, I think he did a very good job technically, and possibly his finest moment is the album closer. It does indeed carry wafts of songs included elsewhere in the album, and all to the song’s benefit as it reaches its glorious crescendo. The La’s were, on their day and especially live, a great band. They have left a few excellent singles and a great album. In the subsequent mining of their recorded output for a variety of compilations, including some released by original La Mike Badger on his own Viper label, they have also left a fascinating insight into how a clutch of great songs can be interpreted so widely by different band members and producers alike. I once wrote about The La’s’ second album as being the greatest album ever, purely on the basis of it having never been recorded along with the mythical status of the various hints and bootleg suggestions of songs that would be included. With Garry I made my own first steps into a recording studio and shared pride in the smoother, more organised sound that we made. However, in keeping with the spirit of Mavers, I’d still be inclined to agree that those recordings didn’t capture the excitement of the versions we caught on a ghetto blaster in a small mid-terraced house in Lancashire. Great essay John thanks. Sixpence None the Richer didn’t help the cause, although I’m sure Lee was grateful for the royalties. About ten years ago I bought the deluxe edition cd which was as perfect an introduction of the strange story of Lee Mavers and the various versions of his small collection of quite brilliant songs as you could get. I love that record, Doledrum, Feelin, Liberty Ship all good. One suggestion that might have made your list from the early days is Open Your Heart, dodgy tuning and all. I’d almost forgotten how much I liked Mavers and co. Used to own that album on cassette, an excellent medium for car journeys. And it’s great to have a One Hit Wonder Topper that didn’t come from me; just what I was hoping for when I dreamed up the series. Fine reading too. Loved the personal touches. Thanks John.